"If you are anxiously looking around your media organization wondering who the harassers are or were, start with the men in power who are bullies: who screamed at subordinates, berated them, seemed to take pleasure in humiliating them — often publicly. We all know them. We have all worked with them. There is clearly a correlation between that behavior and this. ... I would love to send a message to the screamers that their behavior will no longer be tolerated." There's clearly a lot of screaming in tech, as well as in media and movies. The excuse many men gave for not interfering with Harvey Weinstein was that "everybody knew" he was a bully and a jerk — but didn't realize he was also a serial assailant. Arianna Huffington, a board member at Uber, distilled the emerging ethos: "No brilliant jerks allowed." Halperin's had been quite an empire. If you change the game once, it's pretty cool. Changing the game more than once? Very small club. And Halperin did it repeatedly: "The Note" at ABC ... "The Page" at TIME ... The "Game Change" franchise ... Showtime's "The Circus" series. 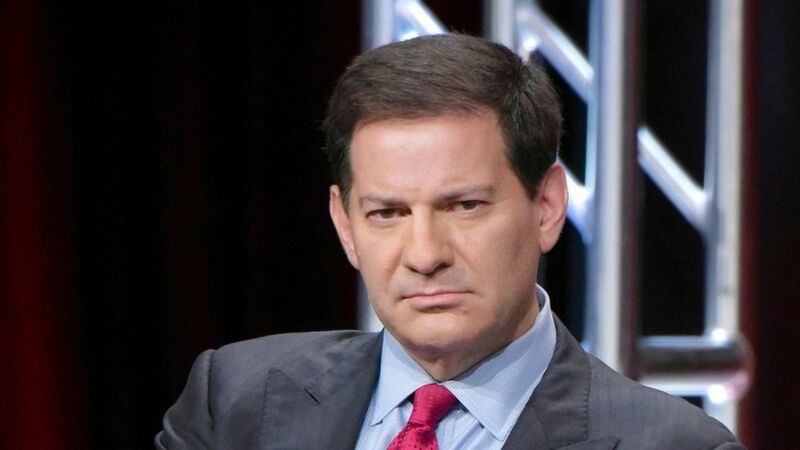 MSNBC said Halperin would not be returning as a contributor for the time being. Then, "Game over," as Alex Burns tweeted: Penguin Press canceled Halperin's 2016 campaign book, the third in the "Game Change" series he co-wrote with John Heilemann. HBO had already said it was dropping a miniseries tied to the book. Emily Miller, a fixture in media and politics, tweeted: "To be clear, I was NOT one of the victims in this story about Mark Halperin. I was ANOTHER junior ABC employee he attacked. #MeToo." The Washington Post's Paul Farhi, in a front-page story, writes that "Dianna Goldberg was a young researcher at ABC News in 1994" when she asked Halperin for help with a story, and he asked her to sit in his lap. The Daily Beast quotes what it says is an anonymous seventh accuser. "Since this story published on Sunday, 193 additional women have contacted me to talk about Toback." "UPDATE: The number of women who have contacted me about their encounters with James Toback now stands at 310." Be smart: It's a tragedy that went on for decades — too many talented, eager women whose ambitions were thwarted, or pride subsumed, by selfish, gross, sometimes criminal men. Our hope is that these revelations bring a new level of civility to the workplace — not just out of the fear of consequences, but a realization of how malignant and destructive the old culture was. I don't say "restore civility," because it was clearly never there. This is one way our generation of leaders can do better than those who went before.